Starr County will have to pay $55,000 in attorneys fees as part of the settlement agreement reached with the American Civil Rights Union. The county’s legal battle with the ACRU over voter lists ended last week after over two years of litigation. The resulting agreement requires the county to pay the ACRU’s legal fees and to make greater efforts to scrub their lists of ineligible voters. The county has 60 days from the day the settlement was reached to pay the $55,000. The agreement was finalized Sept. 4, setting the deadline for Nov. 3. In reaching the agreement, neither the county or the Texas Secretary of State’s office, which was also a defendant in the case, admitted any wrongdoing and indeed, “Bona fide disputes and controversies exist among the parties regarding matters at issue in the litigation,” according to the agreement. In addition to paying attorneys fees, the county agreed to take extra measures to remove deceased voters and duplicate registrants from voter rolls. For two years, beginning in January 2019, the county will report the number of people they’ve removed from their lists. The county also agreed to use the U.S. Postal Service’s National Change of Address Database to identify people who moved out of the county, to use state and federal jury disqualification forms to investigate whether registrants are not eligible, and to, within 60 days of the settlement, resolve all pending maintenance actions regarding possible ineligible registrants. For three years, the secretary of state’s office will provide annual enhanced training for the Starr County elections staff. The ACRU sued the county’s elections office in 2016 for allegedly violating Section 8 of the National Voter Registration Act by not maintaining clean voter rolls. The organization alleged the county had more registered voters on their rolls than were actually eligible to vote. Whether there actually were ineligible voters on their lists remains unclear, but Phillip Arnold — one of the attorneys for the elections office — said during a hearing in April that they were cooperating with the secretary of state’s office to ensure the lists were clean. “He wants to put this behind him and do his job,” Arnold said at the time of Elections Administrator John Rodriguez. The judge presiding over the case, Ricardo H. Hinojosa, also expressed frustration that the issues couldn’t just be resolved without a lengthy legal process. Hinojosa, a Rio Grande City native, pointed out that Starr County is one of the poorest in the country and it was spending a lot of money on the case. The county had struggled financially over the last few years, taking out loans on multiple occasions to make payroll. However, during a budget workshop last month, the county reported $1,643,529 in additional revenue over the previous fiscal year. 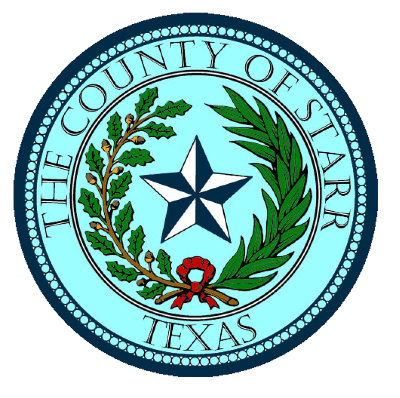 County Judge Eloy Vera, the chief budget officer for Starr, expressed optimism the county could eventually reach a fund balance between $6 million to $8 million. Vera did not return a request for comment on Saturday.